Kid Cable, the younger future version of Cable who returned from the future to murder his older counterpart for neglecting his duties by allowing the time-displaced teenage X-Men to remain in the present, got off to a rough start in the Marvel Universe during Extermination. 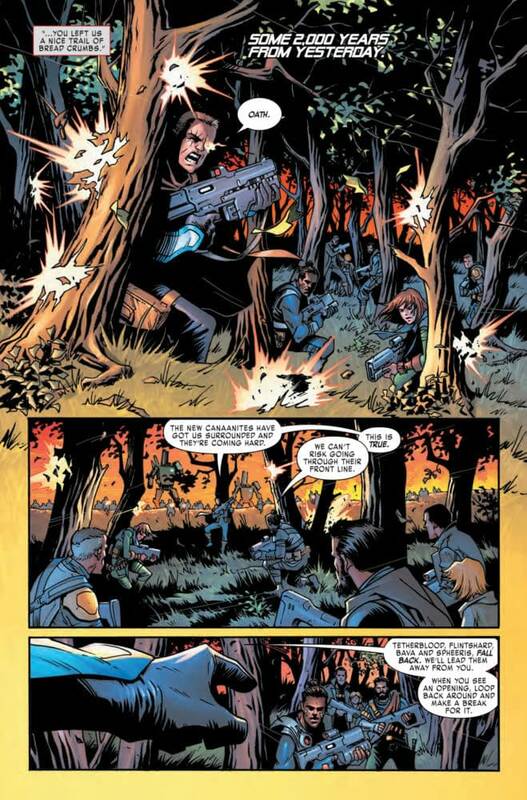 In the pages of X-Force, Cable is working to earn the trust of the black ops mutant team his now-deceased older self started in the past. But it seems there may be some things he hasn’t been telling them. Meet the new Cable, same as the old Cable, in this preview of X-Force #5! 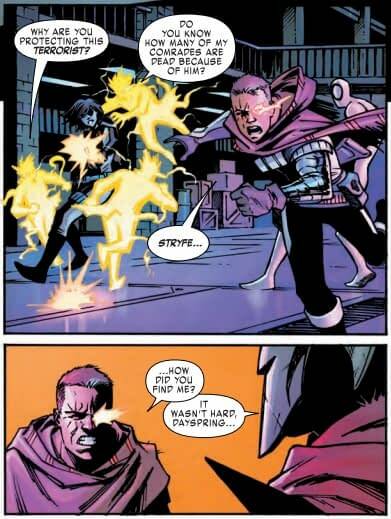 Picking up from last issue, Stryfe has come through the time portal in the Transian military base, and he’s after Cable… which, of course, is a surprise to his teammates. The Mutant Liberation Army? But Domino has read Cable’s entire wiki page. 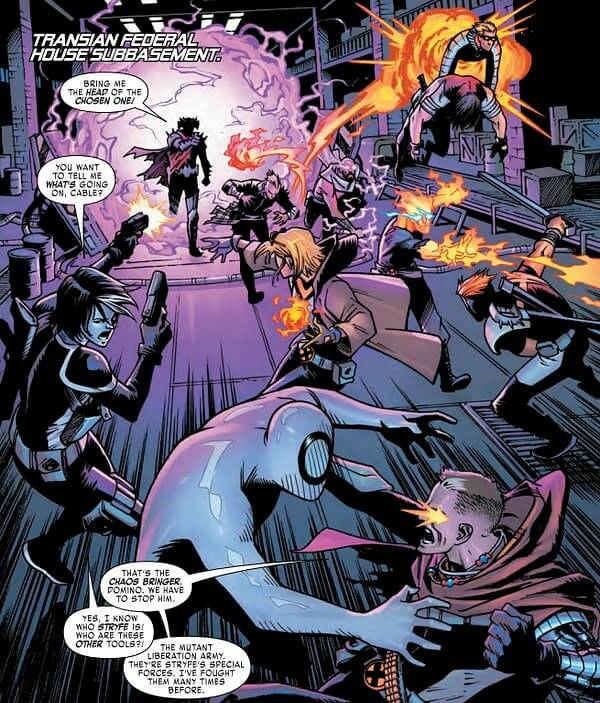 It seems that things might be slightly different in the future Kid Cable hails from… though not much different. 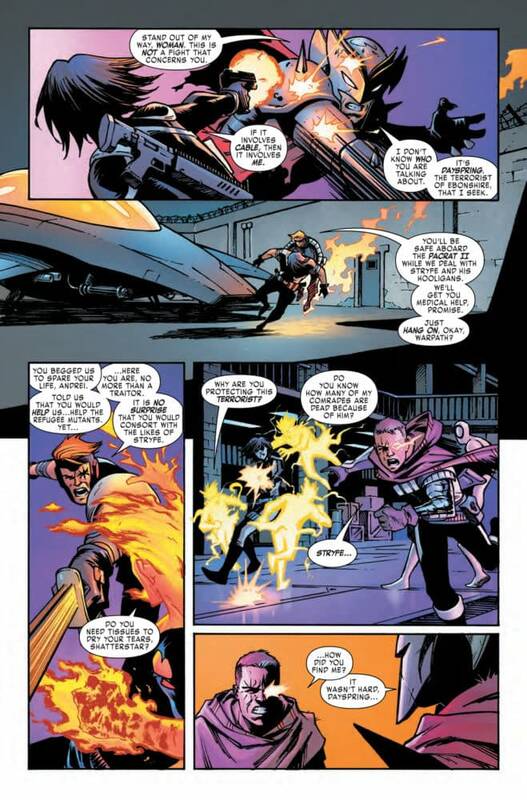 It looks like this may be a flash-back (or is it flash-forward) heavy issue of X-Force, as the solicit promises to reveal what’s changed to lead Cable to head back to the past before becoming an adult. But just how different are things? 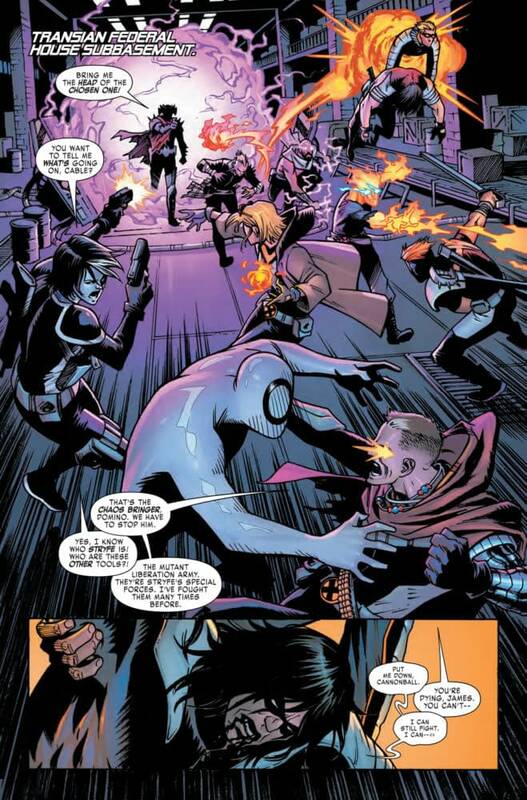 Find out when X-Force #5 hits stores next Wednesday. • Spotlight on the kid called Cable! 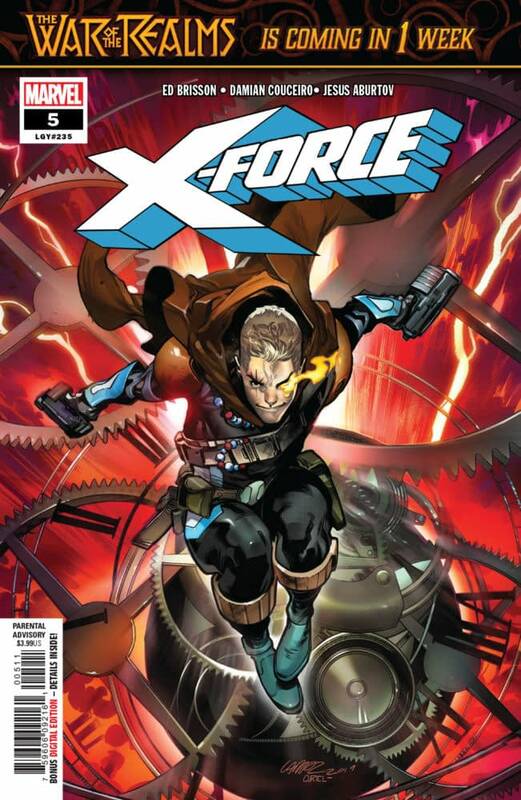 • Before EXTERMINATION and before X-FORCE…young Nathan Summers was a mutant messiah warrior fighting against an apocalyptic future. • But he wasn’t supposed to arrive in our time until well into adulthood…so what happened? • Find out in this issue!